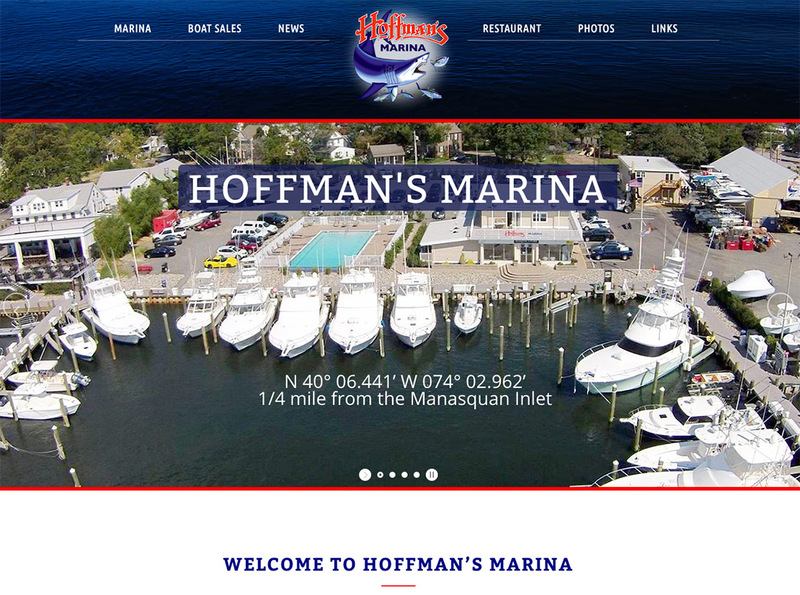 Hoffman’s Marina wanted an updated, responsive look to feature their rapidly expanding business that encompasses 2 marinas, a full service marine store, a restaurant, and swimming pool! We set them up with an easily updatable slideshow that allows them to add captions and links to direct their visitors throughout the site. Watery backgrounds abound and custom graphical portholes stand in as the graphical icons of this site!